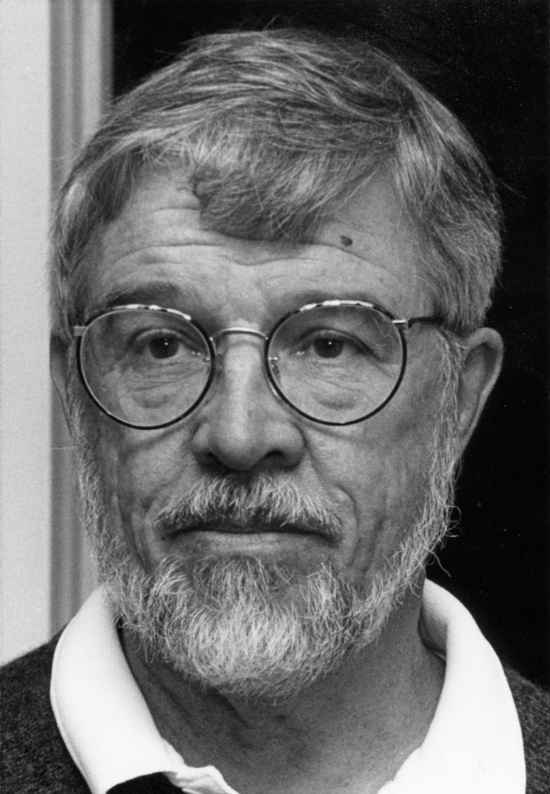 Thomas Abbott Todd, a retired architect, planner, and artist who was a partner in the Philadelphia firm of Wallace, Roberts & Todd (WRT), died on June 14 after a long battle with Alzheimer’s Disease. He was 90. Born in Connecticut and raised in the Philadelphia area, Todd was educated at Haverford College and the University of Pennsylvania, where he earned a bachelor’s degree in architecture and a master’s degree in city planning, respectively. A licensed architect from 1963 to 1991 and professional planner starting in 1970, he was a named a Fellow of the American Institute of Architects in 1980. Along with David Wallace, Ian McHarg, Bill Roberts, and others, Todd built a large firm that was known for its multidisciplinary approach to design, combining architecture, landscape architecture, and planning. Based in Philadelphia, it has a second office in San Francisco. Among Todd’s best-known projects were the master plans for Baltimore’s Inner Harbor renewal area, the U. S. Capitol area in Washington, D. C., and Abuja, the Capitol of Nigeria. He worked on landscape architecture projects for Battery Park in New York and was part of the design team behind Philadelphia’s Liberty Place towers, which broke the longstanding gentleman’s agreement that no structure could be taller than William Penn’s statue atop City Hall. Working in a variety of idioms, Todd also designed smaller works, including three houses for his own family as well as urban sculpture. 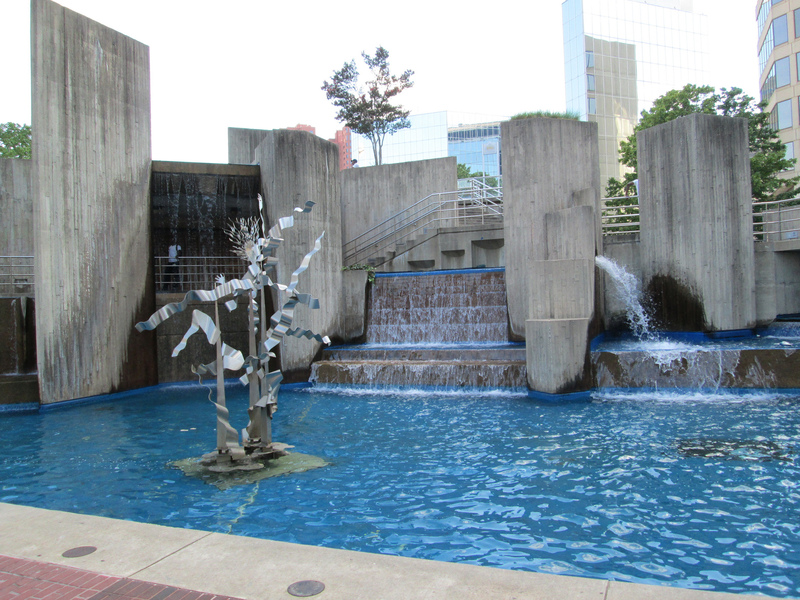 His 1982 McKeldin Fountain, also known as The Waterfall, was designed to be an explorable waterfall formed by a series of concrete prisms with water cascading down on all sides and collecting in pools below with platforms at different levels containing plants and walkways for people. Both a utilitarian part of the city’s infrastructure and a sophisticated work of Brutalist architecture, it was part of Baltimore’s official inventory of public art until it was demolished by the city in 2016. Joseph Healy, architect and managing principal of WRT, said employees in the Philadelphia office spoke about Todd last week during a staff gathering, reflecting on the key role he played in the firm. Todd’s professional career began with the Philadelphia City Planning Commission, led for many years by the noted planner Edmund Bacon. After winning a fellowship that allowed him to travel in Europe for a year, Todd joined the University of Pennsylvania as a campus planner and designer, then started a planning firm known as Grant & Todd, then worked for Geddes, Brecher, Qualls & Cunningham. In 1963, Wallace and McHarg hired him to work for Wallace-McHarg Associates, which was taking on land planning projects and other commissions around the country, including a much-publicized plan to control development in Baltimore County’s Green Spring Valley. After Todd and Bill Roberts became full partners, the firm was renamed Wallace, McHarg, Roberts & Todd. Todd’s penchant for planning and his attention to detail extended to his leisure time activities, including model shipbuilding, music, and painting. He could speak and read Latin, which he studied at Germantown Friends School and Haverford, and enjoyed translating common phrases and quotes into that language. He traced his family history back to the colonial era, discovering that he was related to Benedict Arnold. He made a harpsichord and taught himself to play it. He sang in choral groups. He painted portraits, landscapes, cityscapes, and still lifes. After WRT’s master plan for Baltimore called for the USS Constellation to be the sculptural centerpiece of the Inner Harbor, Todd built a scale model of it, down to the miniature cannon balls on the upper deck. His model is on display at the U. S. Naval War College in Newport, R. I. In 1956 Todd married the former Carol Roberts, who died in 2014. They had a son, Jonathan Christopher “Chris” Todd, and two daughters, Suzannah Elizabeth Arnold Todd Waters and Cassandra Roberts Todd. Besides his children, he is survived by a sister and four grandchildren. In 1991, Todd retired from WRT and moved to Rhode Island, where he continued to consult professionally. In 2008 he moved to Duxbury, Massachusetts. He lived in Plymouth, Mass., at the time of his death. Todd’s son paints a picture of a restless Renaissance man who saw the glass as half full and threw himself into whatever he chose to pursue, whether it was traveling to see the lands discovered by the Norse explorer Leif Erikson or building frames for his own oil paintings. “He loved bad jokes and good company,” Chris Todd said. “I wouldn’t say he didn’t have his moments of concern about finances or health. But by and large, he led a rich life. A memorial service for Thomas Todd will be held on October 27 at 10 a.m. at the Germantown Friends Meeting, a Quaker church at 47 West Coulter Street in Philadelphia. In lieu of flowers, the family has suggested a donation to the Alzheimer’s Association.